Welcome back and it's Digi Choosday of course. This week the team are taking a well deserved break until the New Year so we will be back on 5th January to kickstart all our crafty inspiration in 2016. 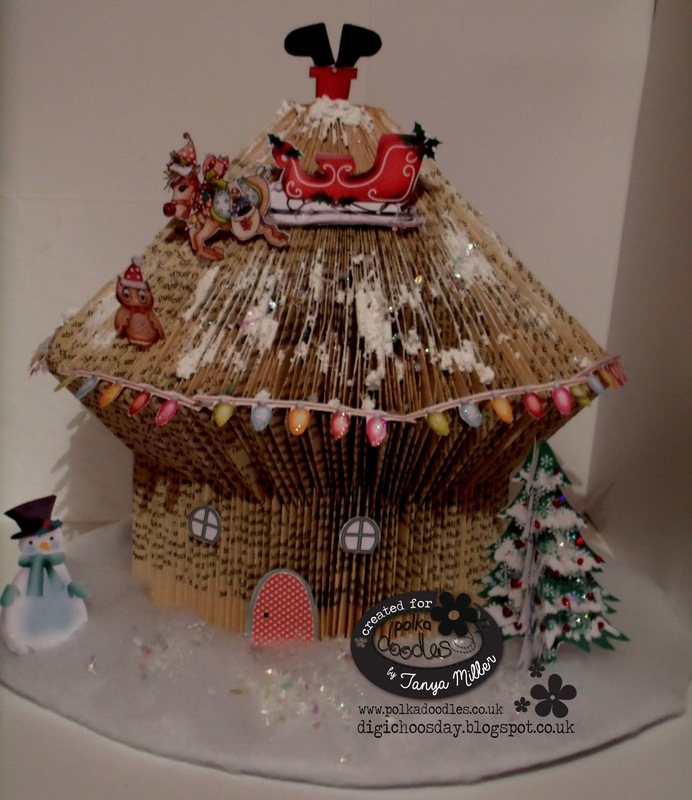 The whole Digi Choosday and Polkadoodles team would like to wish you all a very Merry Christmas and Happy New Year filled with love, health and happiness through the festive season and 2016, and we'd like to take the opportunity to say a huge heartfelt thankyou to all of you for supporting the challenge every week, we really appreciate your support and love seeing your amazing creativeness every week. See you on 5th January! Well it’s the last blog post of the year here at Digi Choosday. Nikky has been ubber wonderful and she's given the Design Team a lovely Christmas break and time off till the 5th January 2016, when we’ll be back with another challenge. That’s a very easy challenge to end the year off and covers absolutely everything but maybe you could get on a start on making some thank you cards for any gifts you may receive for Christmas or why not start making birthday cards for the coming year and make it your New Year’s Resolution to get more organised or how about trying out something new by using something you may have been bought as a gift for Christmas… if you’re lucky enough to get some crafty stash!!! Monica.-For my "anything goes" project, I chose to move away from Christmas (I have been doing a lot of Christmas project recently). So I went back to one of the beautiful 2015 collections and I used Work & Play 9.-Love & Kisses. 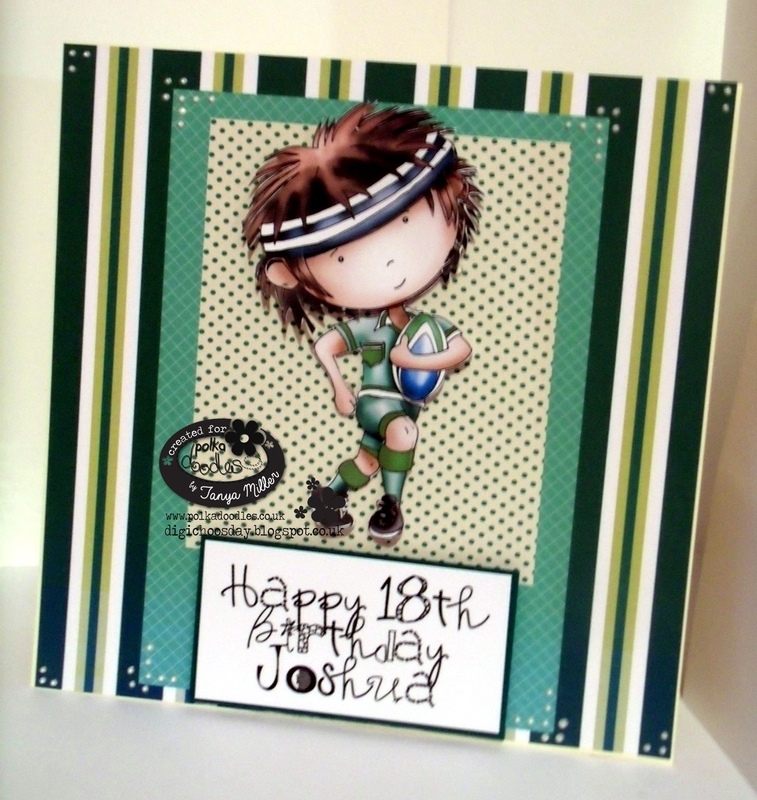 This collection is so complete that includes even several card templates. The "fancy scalloped edge stepper card" template I used is one of those templates, as well as the papers, sentiment and precoloured images (also available to colour), that all are included in it. Julie -- I love Anything Goes challenges! I took advantage and finished a couple ornaments I needed done for a staff Christmas party. These were made entirely out of digi papers from the Polkadoodles store. Most of the papers are from the Twiggy & Toots Festive Fun Collection, available in both Digital Download and CD. One of the papers, left over from a former project, but matching perfectly, is from Work & Play 5 - Festive Hollybobs. Again, this collection is available in both CD Rom and Digital Download. 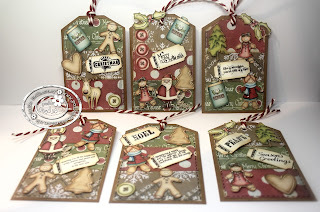 Gail - my project for the Anything Goes challenge is a tag, I'm making a serious amount of tags at the moment, a little bit obsessed with making super size tags!! I've also used another item I'm a little addicted to at the mo, the fabulous IckyInk Oddella with bag. 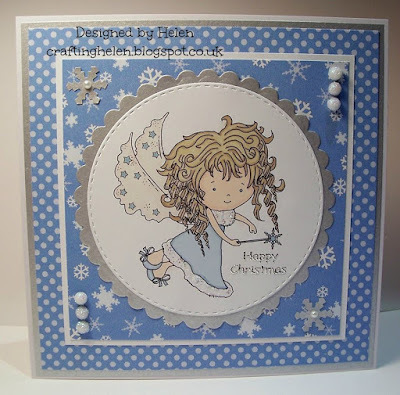 Fiona GDT - For my Anything goes project I have once again used Twiggy and Toots Festive Downloadable cd. 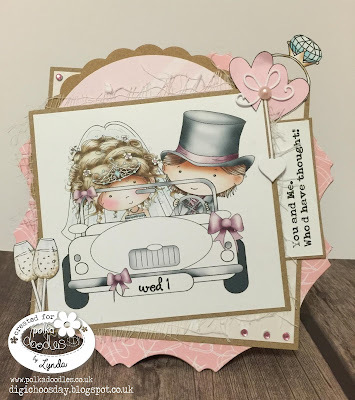 I am loving this cd The images and embellishments as well as the papers can be all found on the cd. 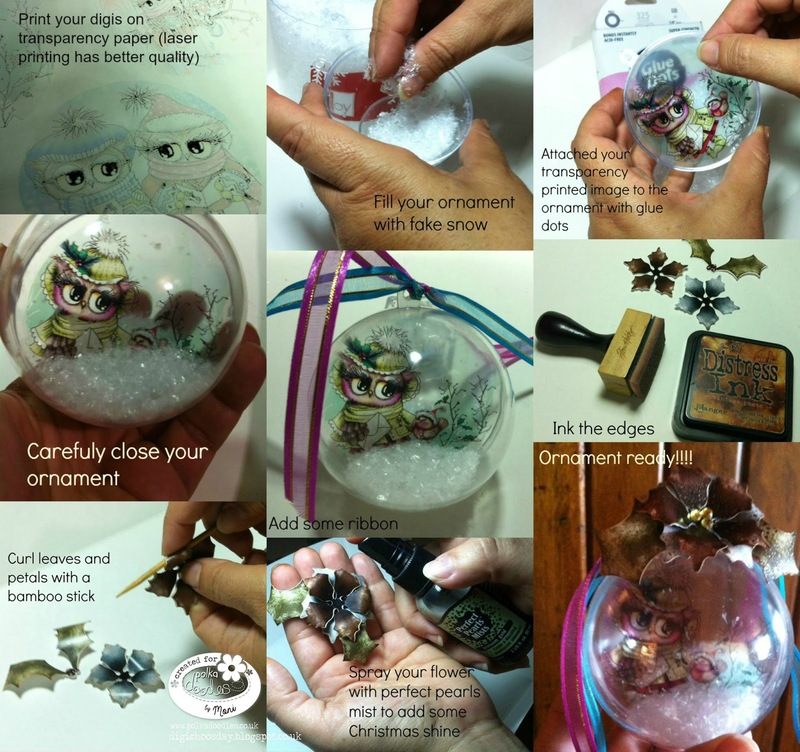 You don't have to be a experience crafter to use these images. All you need is a pc and printer to get started. 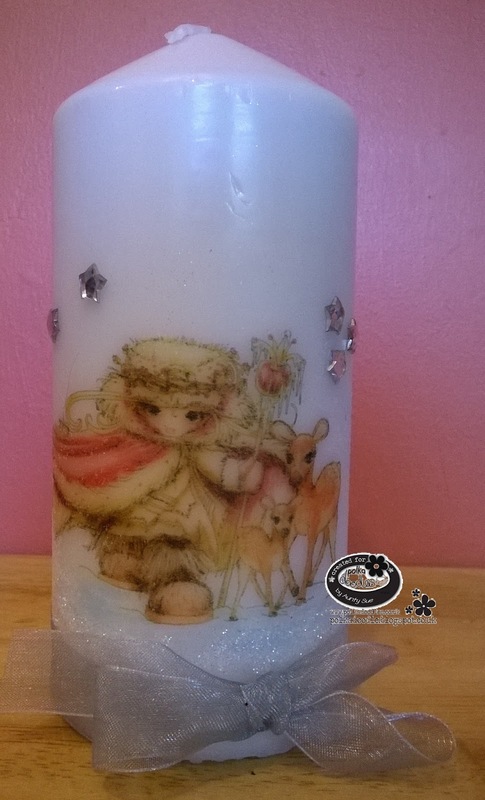 Tanya - This week I have gone for something quite simple but back to my beloved decoupage. 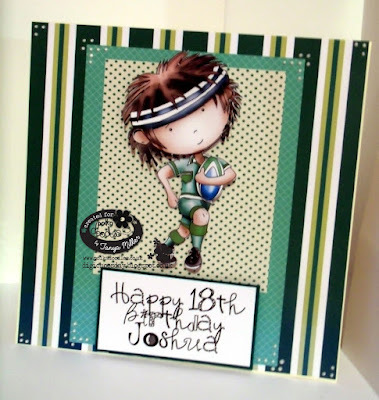 I've used the Work & Play 6 Collection available on download and CD version to make a personalised 18th birthday card using the pre-coloured rugby player which I've combined with the papers from the same collection and added some liquid pearls on the edges. Wishing you and your family and friends the very best Christmas and an absolutely terrific New Year. Festive Hollybobs download available here. Audrey - last week I showed you all the things you could do with different elements from one Polkadoodles CD. 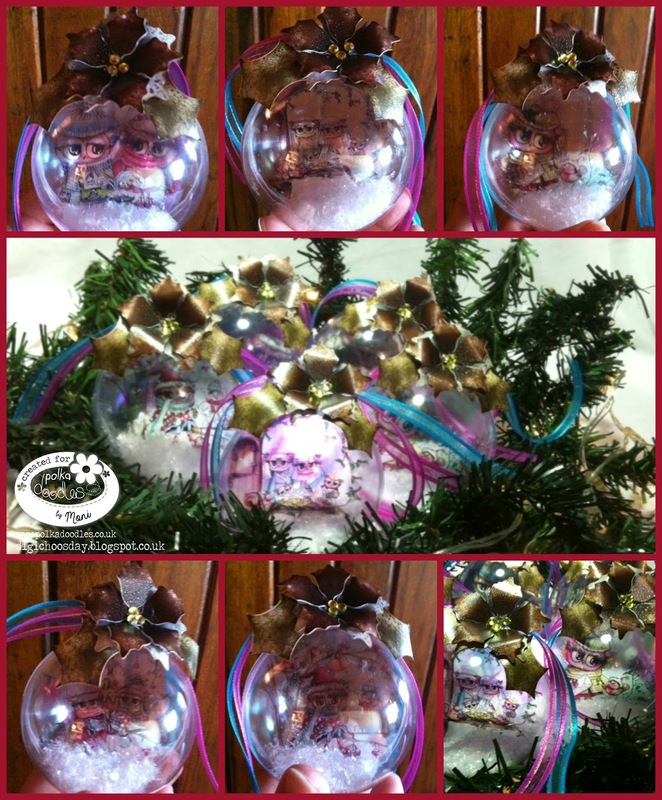 This week, I decided to focus on coloring the gorgeous images from Polkadoodles, so I chose 3 different images and then added them to some garland I bought from Target that I twisted up into a wreath. 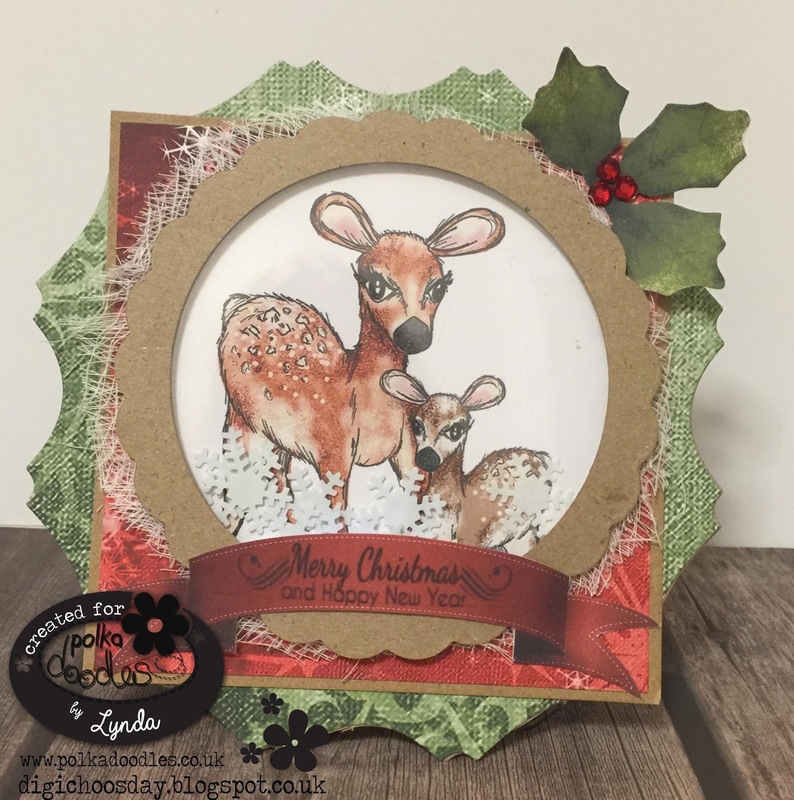 At the bottom of the wreath, you will find Happy Christmas Twiggy and Toots which is also available in the Twiggy and Toots Festive Fun Downloadable Collection. The image on the right is Hollybobs Choir digi and the one on the left is Hollybobs Presents, both images can also be found on Work and Play Volume 5 Festive Hollybobs Download Collection. All images are colored with Copics and I added Stickles to the Twiggy and Toots image as well as the Hollybobs Choir digi. Sure hope you like it and Happy Holidays to all!! Now for the winner and top three from Week 47 Winter Birthday. So that’s us for 2015. See you in 2016 !!!! Did you manage to catch our very own Nikky Hall on Create and Craft the other day with the fabulous Colour Therapy CD’s? If not you can go and watch it online for a few days yet. Pop HERE to watch it. Also don’t forget to join our Colour Therapy colouring group. Head HERE to check out all the information. 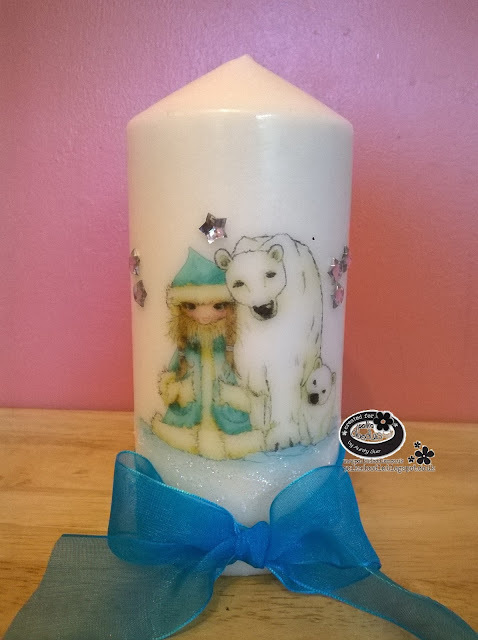 Christmas is now only a few weeks away and lots of us are beavering away trying to get everything made in time for the big day. 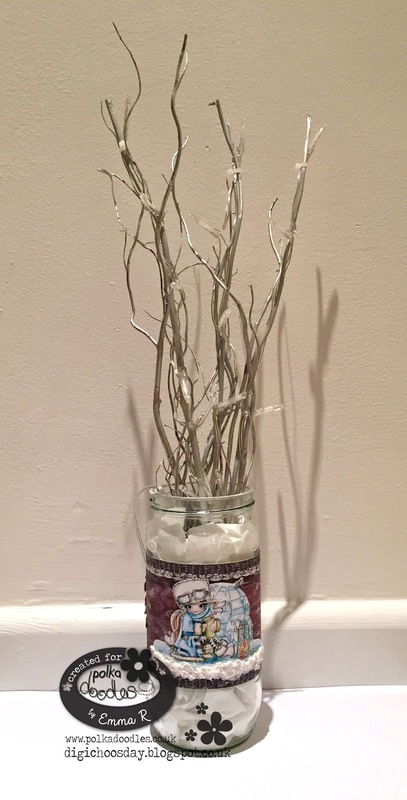 This week we thought we’d have a break from cards and make something to show off in our homes for Christmas. There are lots of ideas here to hopefully inspire you to make something. 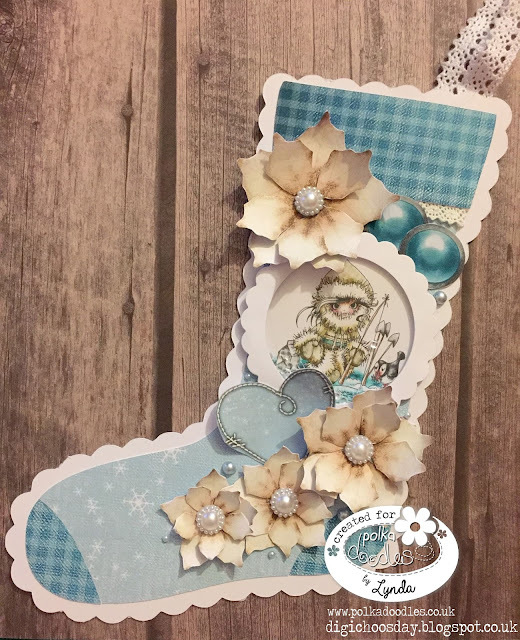 This challenge also allows us to use those papers and embellishments that we don’t like to use and giveaway, as we still get to look at them and stroke them! You can use any products you like to enter as long as it follows the theme for this week. We don’t have many rules but check them out in the side bar if you need to. We give you two weeks to enter so that means the CLOSING DATE IS 22nd December 2015 and the winners will be announced on 12th January 2016. PRIZES:The random winner (chosen by Random.org) will receive$10 worth of downloads of your choice from the digi store! Julie -- Christmas draws ever closer! I took advantage of this week's theme to make a couple of ornaments for family members. Both ornaments were created using a pre-printed image from the Twiggy and Toots Festive Fun Collection. It's available in Digital Download, and CD. Bauble Wishes is also available as a digital stamp. The papers I used on these ornaments is also from the Twiggy and Toots Festive Fun Collection. 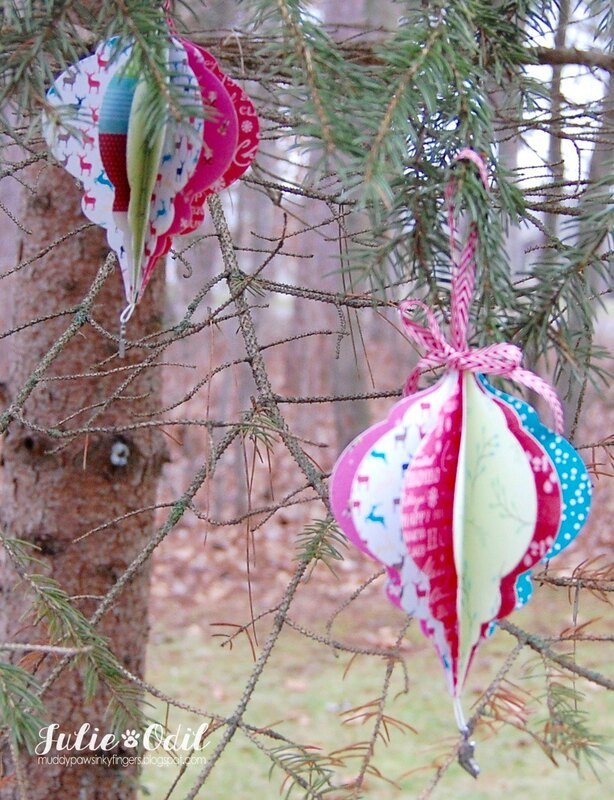 I photographed these ornaments hanging on a tree in my yard. Yes, we have SNOW! Tanya - Hi there. I just love making Christmas Decorations and as I've spent a lot of time this year bookfolding I've decided to make my Christmas Decoration a book fold and have decorated it using embellishments from the Twiggy & Toots Festive collection which is available on CD here and download here and then tons of glitter and sparklies. More photos and full details on my blog. Gail - Merry Xmas everyone, hope your preparations are moving along nicely. I was behind but I'm starting to catch up again!! 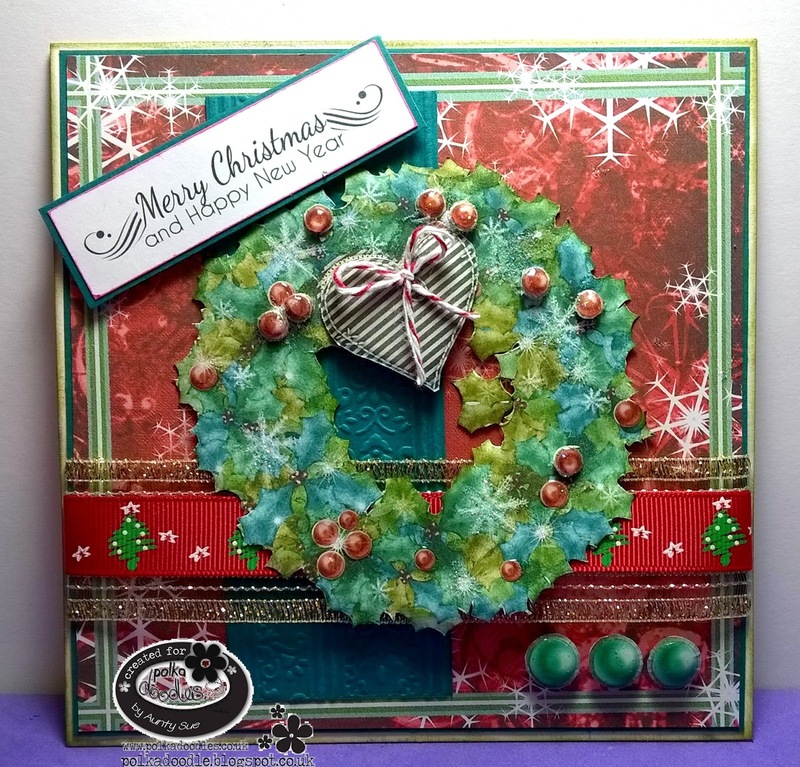 My make for this weeks challenge is a Xmas plaque, I choose to use the same colour palette as the Xmas Wreath I made last week. I used the very yummy Work and Play 5 - Festive Hollybobs collection, available as a digital download or on CD-Rom. Helen - I've made a wall hanging using elements from the 'Festive Hollybobs' digi download - I've used two pre-coloured images and two of the papers. Audrey wanted to do something really spectacular this week to showcase how many projects you can create from one of the Polkadoodles CDs/Digital Download collections, so I dragged my Pazzle cutting machine out of hybernation and used 3 of the templates from Twiggy and Toots Festive Fun Download Collection to create a Christmas Village. My image of choice this time Twiggy and Toots Christmas Gift can be purchased by itself or as part of Twiggy and Toots Festive Fun Download Collection. I also chose papers, sentiments and used SVG files for the decorations on the houses from Twiggy and Toots Festive Fun Download Collection. Sure hope you like it! 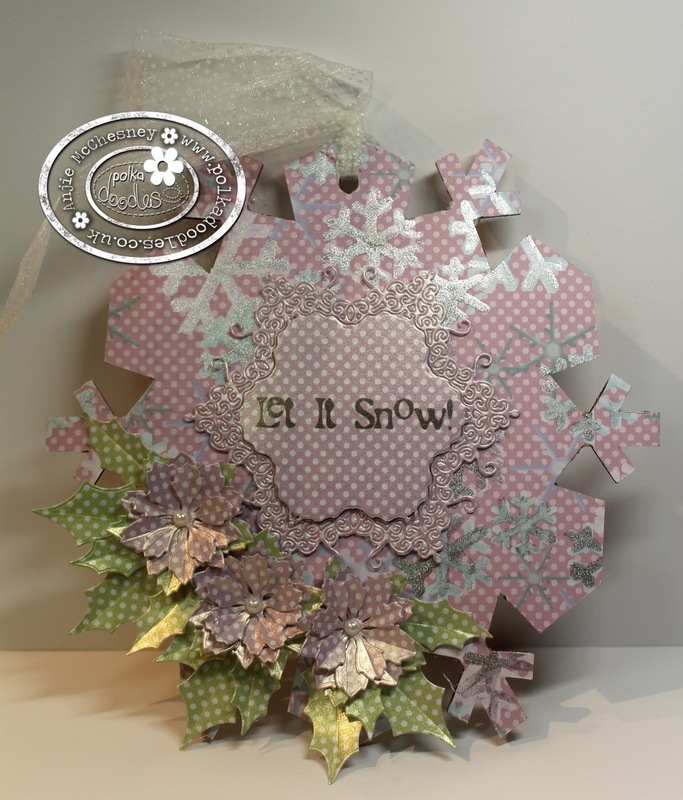 Anjie - This was a plain MDF snowflake that I got at one of the craft shows this year. I have covered it with a paper from the Angelberry Christmas collection, and added some sparkle using my Graph'It Shake silver pen. 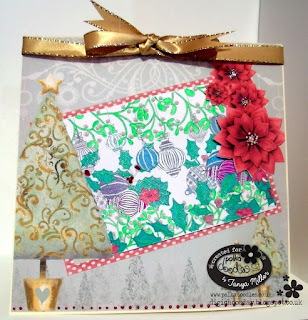 Then I printed out the same paper, a sentiment and a coordinating paper onto Centura Pearl card. 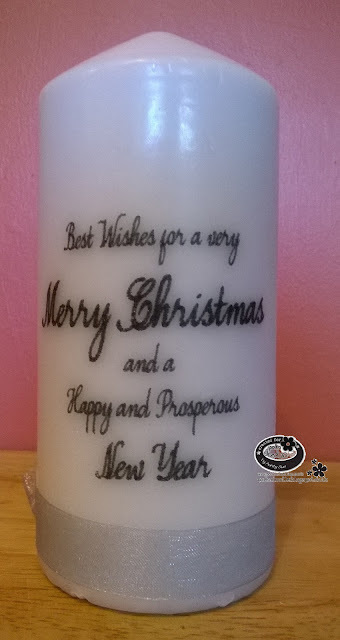 I used a Tattered Lace die to cut a snowflake out around the sentiment. 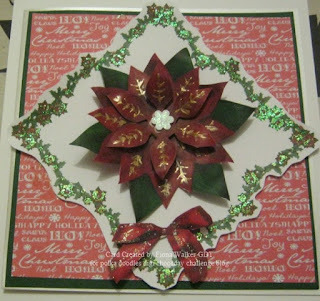 And then used some TL dies to cut out some Poinsettia flowers and some Holly leaves. I glued them all in place and added some pearls into the centre of the flowers. More details and photos on my blog. Great makes from the DT I’m sure you will agree - WOW!! Add your challenge entry using the linky tool below. Please email us at sales@polkadoodles.co.uk quoting DCW046001 to claim your prize of £5 worth of downloads from the digi store! 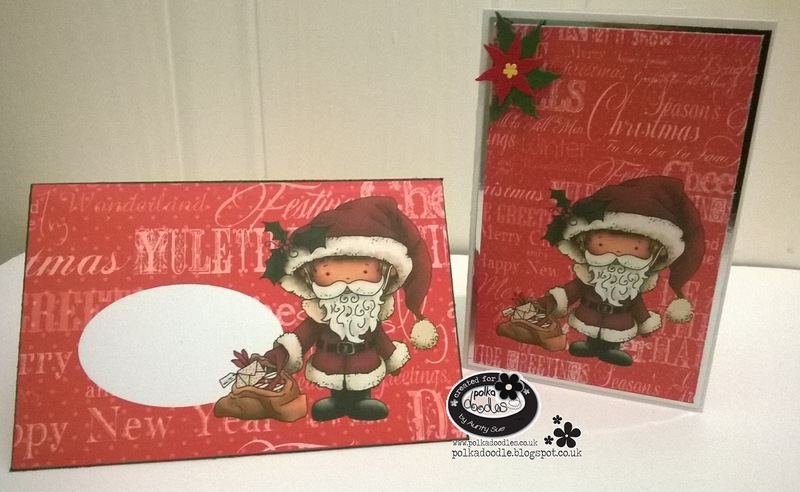 We are all now in full swing making our Christmas cards, tags and home décor, well it is the 1st of December now, so won’t be long until the big day is here. Have you made a start yet? Or have you finished everything? Well we have lots of lovely inspiration for you today to help you along. and the winners will be announced after our Christmas break when we are back with our first challenge next year on 5th January 2016. PRIZES: The random winner (chosen by Random.org) will receive £5 worth of downloads of your choice from the digi store! The winner and top 3 for week 45 can be found at the bottom of this post. Fiona GDT - I have used for my make again the twiggy and toots festive crafting cd instant download. which you can find in the store. I really enjoyed making this make. 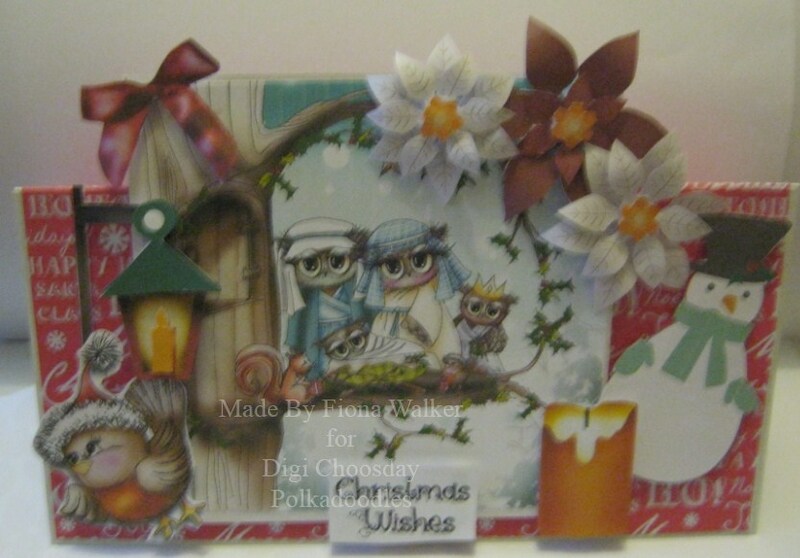 Its such a great crafting cd to be able to purchase with lots of different choices. Julie -- I used traditional Christmas colors, and made a not-so-traditional card, using the Picknix 3 --Nordic Winter. Bundle. The collection is available in instant download or CD. 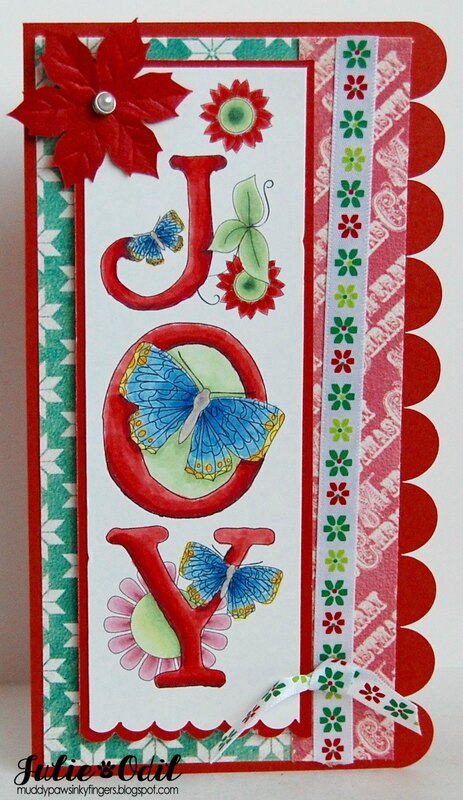 I also used the Adult Coloring Pages Alphabet 1 Bundle on this card and colored with Copic markers. My very good friend and her husband winter in Arizona every year, where there are butterflies and blooming flowers at Christmastime. I thought this card would be fun to send to them -- Christmas in spirit, yet a reflection of what they experience. 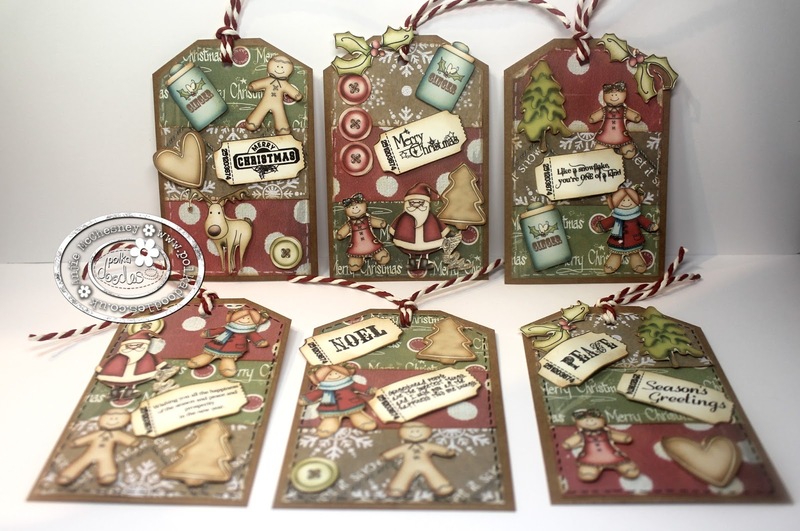 Monica.- I agree with Jane, Picknix 3.-Nordic Winter Collection is just perfect for any traditional Christmas project. 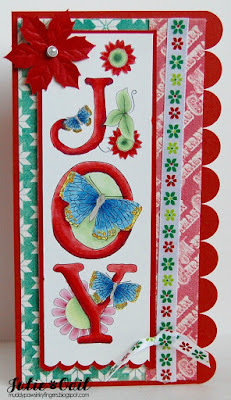 For my card I used papers, sentiment and precoloured elements from that collection. I used two layers on the bows an three layers on the ornaments to add dimension. Gail - I used the Work & Play Festive Hollybobs collection, now this may not strike you as an obvious choice for the traditional Xmas theme but whilst the colours aren't traditional, what could be more traditional than a Xmas wreath. 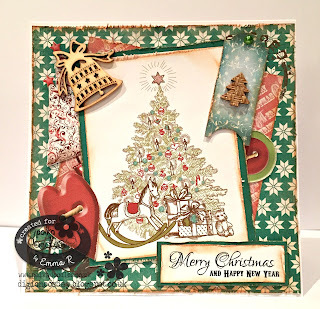 You can get the Work & Play Festive Hollybobs collection, which is just jam packed with Xmas goodies to cover all tastes, as a digital download or on CD-Rom. Tanya - Traditional Christmas for me means trees, baubles, holly, miseltoe and glitter and poinsettias... so my card contains all these. I've used the papers and embellishments from the Picnix 3 Nordic Christmas collection and used one of the Colouring Sheets from the Colour Therapy Colouring Club which I've coloured with glitter gel pens. More details on my blog. Merry Christmas by the way!!! 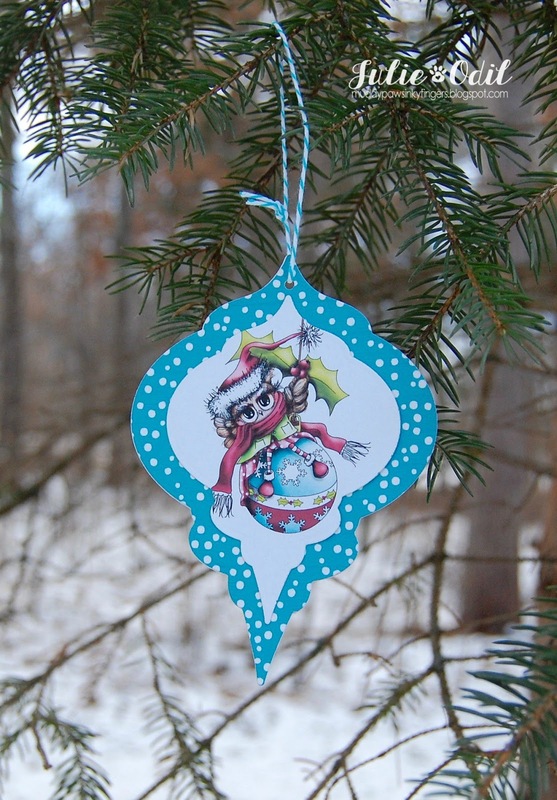 Audrey - For my traditional Christmas creation, I chose Angelberry Pressies Digital Download. 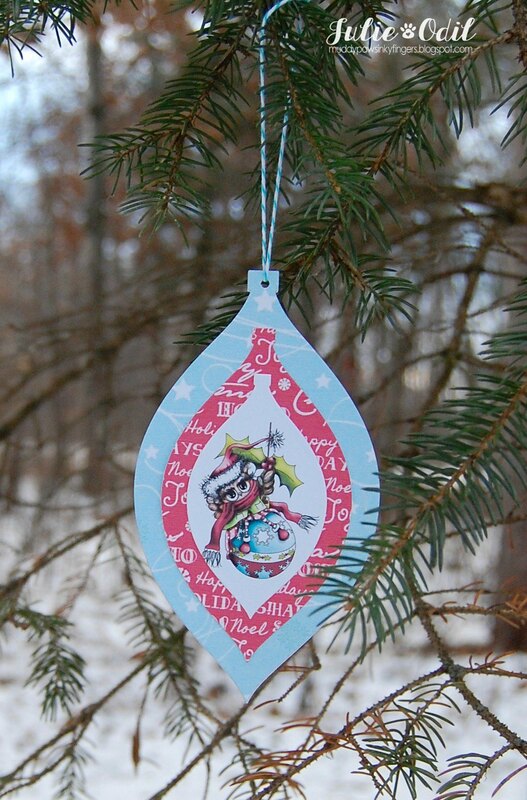 You can also find this lovely image on the Angelberry Christmas Collection CD rom. 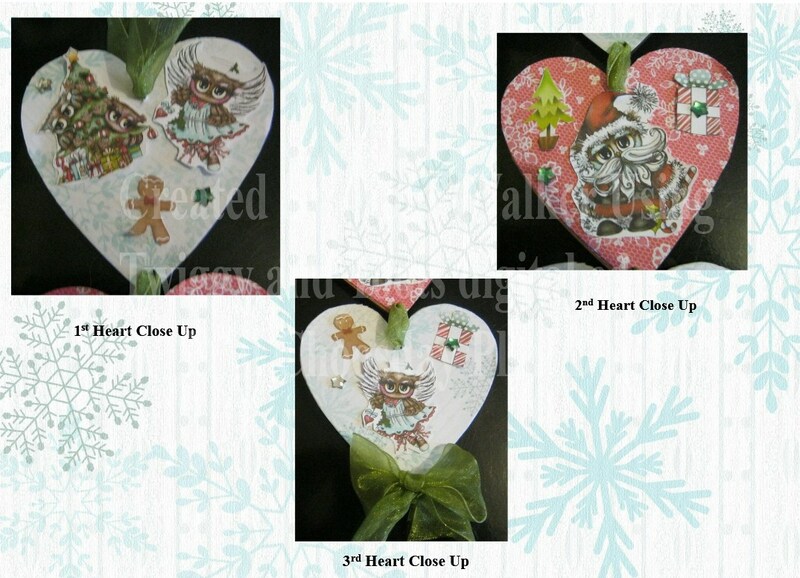 All 3 of my designer papers are also from Angelberry Christmas Collection CD rom. I added embellies from Work and Play Volume 5 Festive Hollybobs Full Collection Download. All embellies are cut out by hand, highlighted with Copics and then I added Stickles to the tree and Poinsettia and Aytou Spica glitter pen to the bells. Aunty Sue - Well for my Traditional card it had to be Red & Greens with a Wreath that welcomes your guests. I have used Papers and elements from Octivia Frosted Winter which is a must at Christmas and available here at a fabulous price more details and picture of the 3d effect on my blog. Emma - Traditional Christmas for me is very vintage, greens, reds, golds. Real trees & that cottage christmas feel so for me that could only mean using one collection, the Nordic Winter Collection that can be found Here. 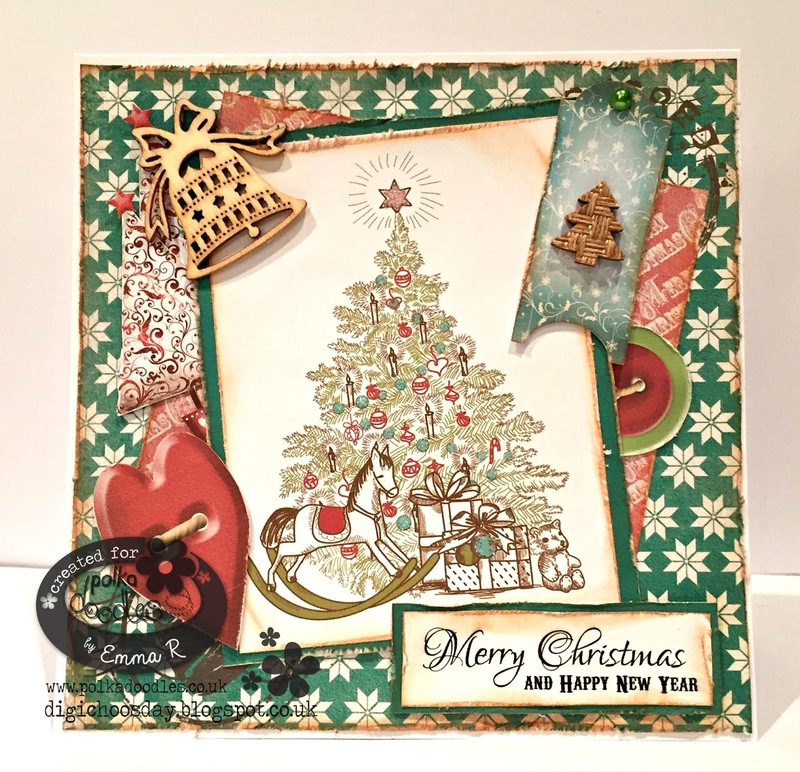 I have used a lovely pre coloured christmas tree which I have only added a little sparkle to, all of the papers, embellishments & sentiment are in this one collection. 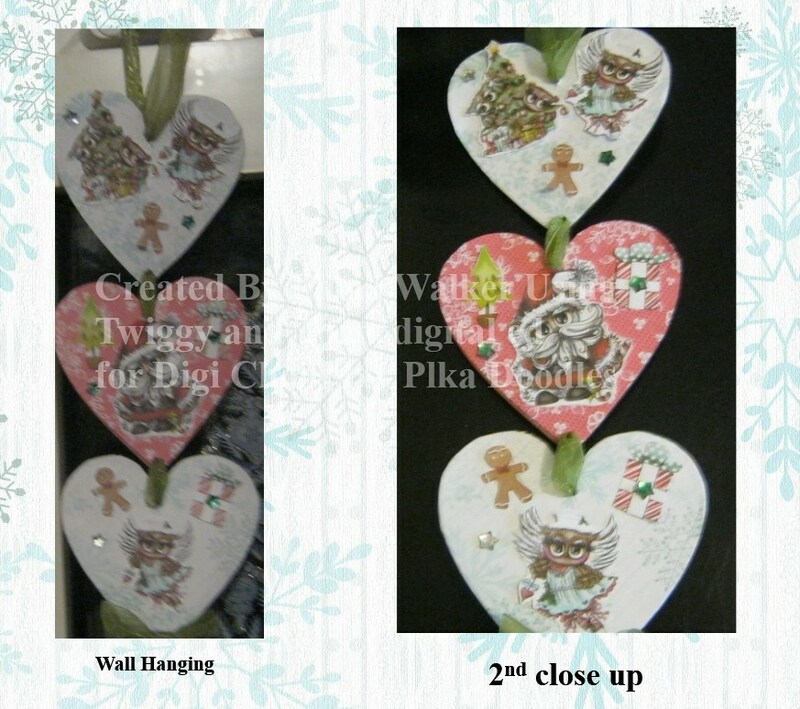 Anjie - I've used the amazing Picknix 2 Gingerbread Twist collection. Now anyone that has followed my crafting or blog for a while will know how much I love these Picknix collections and this is why I couldn't just stop at one tag, I made 6! And I have the bits to make a few more this afternoon! So here they are. 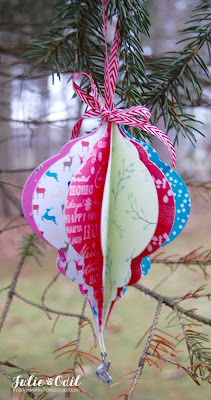 More details and photos on my blog if you want to know how I made them. Please email us at sales@polkadoodles.co.uk quoting DCW045001 to claim your prize of £5 worth of downloads from the digi store!